Everyone at JOY considers what we do to be a ministry; not a job or a chore. This singleness of purpose establishes us as we respond to the call of God on our lives. We love what we do and we depend upon Him for His guidance as we prepare the programming heard over JOY. May it convey God's love and purpose for your life. James Kurtis hosts 'The Drive' every weekday morning from our JOY studios located in the GTA, playing today's best Christian music for Toronto and the Greater Golden Horseshoe area! Get up for work and arrive with 'The Drive'! James has the latest on traffic and weather, along with timely news updates with News Director, Bob Sheppard. 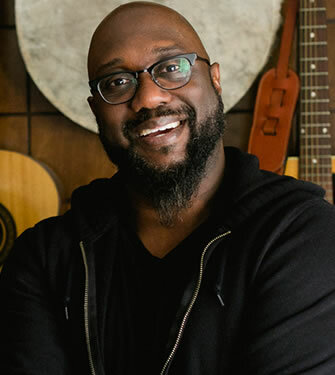 In addition to hosting 'The Drive', James is also our Music Director, staying on top of the latest CCM and Gospel charts, supporting Canadian artists, and continuing to be active within the music community of our great country. This Humber College Radio Broadcasting grad also co-hosts the 'Between The Grooves' podcast from Faith Strong Today, also airing every Thursday at 2:30pm on JOY. Streaming weekdays at Faith Strong Today and on-air across the GTA on JOY, Hollie Taylor hosts 'Good Company', combining the best in Christian music and talk! 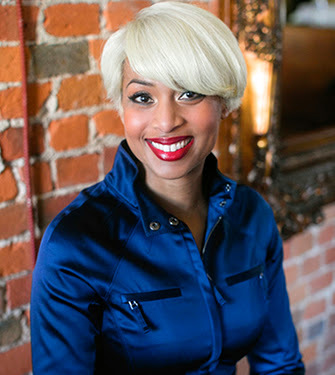 During this interactive hour on faith and culture, Hollie and other Faith Strong Today contributors discuss a variety of topics, spin today’s hottest hits, and connect with YOU via text messages and social media. 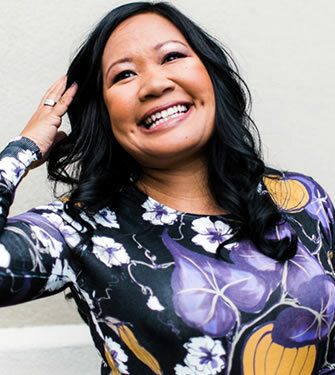 JOY listeners may already know Hollie as co-host of the most listened-to podcast on the Faith Strong Today network, the Why Me Project. And thanks to the power of digital audio and JOY, 'Good Company' promises to be the most accessible Christian program in the country; also available on-demand using our 'My Joy Radio' app and via podcast. Davina hosts 'Joyful Praise' each weekday evening, playing your favourite Christian music, stories and interviews. With nightly features from Phil Callaway, Moira Brown and Kelley Latta, Davina shares a unique blend of spoken word and music, providing a nightly reminder that you’re not on this journey alone. She also lights up the airwaves presenting the biggest Christian hits in the GTA every Saturday on the 'Joy Top 20' countdown at 5pm, and continues her unique and sensitive approach to Gospel music on 'Gospel Praise', Sunday's at 5pm. You can also catch her video web series called 'Snapshot' on our YouTube or Facebook pages, as she sits down with authors, artists and infulencers to discuss their ministry. Davina loves the music and the message it imparts as well as the Word which inspires it. 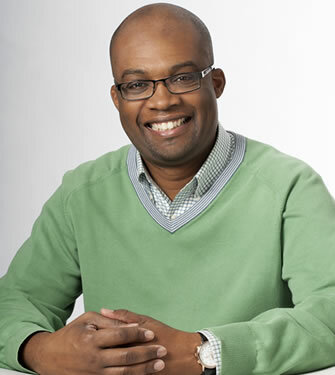 Chris Brooks is the senior pastor of Evangel Ministries, a thriving 1600-member church in the heart of Detroit. He also serves as campus dean of Moody Theological Seminary in Plymouth, Michigan. 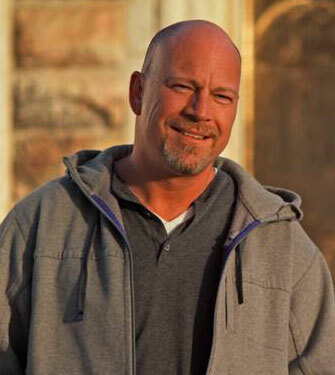 A popular Detroit radio host since 2005, Chris is author of Kingdom Dreaming and Urban Apologetics. 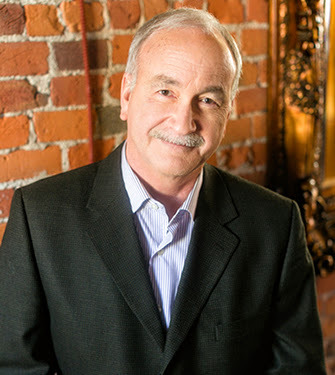 He graduated from Michigan State University with a BA in Finance, completed his MA in Christian Apologetics at Biola University, and graduated from the Oxford Centre for Christian Apologetics at Oxford. Join Chris every weekday for this interactive LIVE program, as he empowers believers to live an impactful Christian life in a rapidly changing culture on 'Equipped with Chris Brooks', heard only in the GTA on JOY Radio! 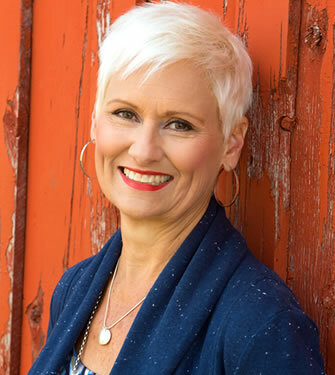 One of Canada's best-known Christian broadcasters, writers and speakers, Ann joins JOY Radio with a daily devotional program entitled 'Sincerely Yours' - a journey through the Bible with you! Ann and her husband Ron recently took over the leadership role at Heart to Heart Family Ministries, where they live out their passion and vision for supporting marriage and family in Canada. Writing regularly for digital media company Faith Strong Today, Ann now hosts her own daily podcast which also airs weekdays on JOY Radio beginning Monday September 12th! Subscribe to the podcast and hear 'Sincerely Yours' at www.faithstrongtoday.com/sincerelyyours. 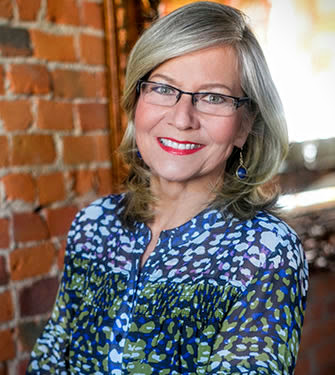 Moira grew up in Peterborough and at age of 17 became involved in local AM and FM radio. She later moved into TV, producing and hosting The Moira Hunt Show daily on CKVR in Barrie. Through the influence of an interview guest, Moira came to know Jesus Christ as her personal Lord and Saviour! Many years later she was invited to join '100 Huntley Street' in the fall of 1988. In 2014 Moira was named one of Canada's top one hundred Christian women leaders and authored her first book, 'Hugs From Heaven'. Now with Faith Strong Today, her daily vignette 'Hugs From Heaven' also airs on JOY Radio! Catch up with past episodes at www.faithstrongtoday.com/hugsfromheaven. 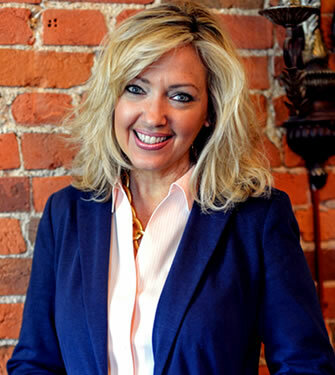 Melinda's career spans over 15 years of broadcasting and motivational speaking. 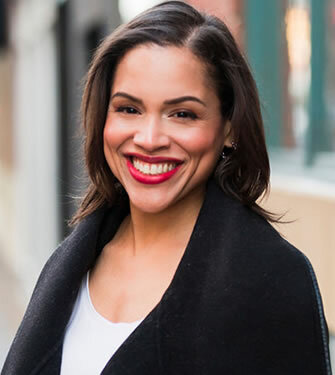 She has worked at 'Listen Up TV' (now 'Context with Lorna Dueck') and in 2006 became co-host on '100 Huntley Street's' womens show, 'Full Circle'. She has created a populer audio/video podcast at Faith Strong Today, and now brings her weekly women's program See Hear Love to JOY Radio! Donna and her husband Randy are the co-founders of Straight Talk Ministries, a non-profit organization committed to helping people find faith and apply it to everyday life. They live in Calgary, a thriving city in the shadow of the Canadian Rockies with their two young adult daughters and a newly acquired son-in-law. 'Grow On The Go', co-hosted with her daughter Kevann, is devoted to helping people live purposefully! In her spare hours, she loves to read, paint, and love on her rescue puppy, Levi. Visit Faith Strong Today to hear past programs on their website, both on-demand and via podcast! 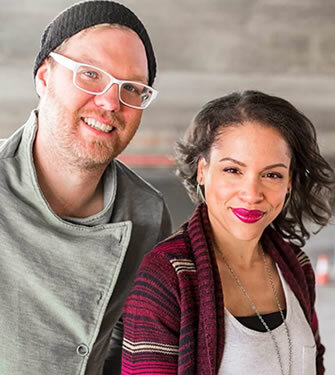 Hosts of ‘The Morning Spin’ on Edmonton’s Shine-FM, Johnny and Hollie now bring their 'Why Me Project' podcast to JOY Radio through Faith Strong Today! Johnny’s parents just knew he would have a future in media. So at the age of 19, he graduated broadcasting school and ventured into the radio business. For the past decade, Hollie has worked in the Christian radio and music industries, launching her own promotions company called Ten16 Entertainment committed to artists in the Canadian Christian music industry. Every week Johnny and Hollie interview athletes, authors, musicians, or someone you'd least expect, hearing about their own "Why Me" moments. Diane Lee Clemons has music embedded in her soul, gracing the stage of major events across North America, including concerts, empowerment conferences, music awards, sporting events, and charity galas. 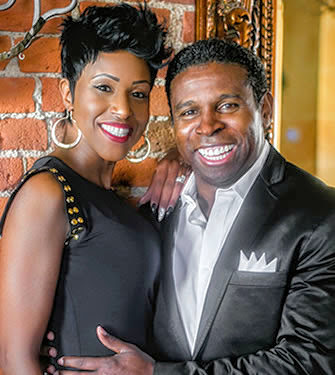 Husband Michael "Pinball" Clemons is one of Toronto's most popular athletes, a member of the Toronto Argonauts in the CFL and later the team's Head Coach, President and CEO! Together the couple have redefined the meaning of community involvement and in 2007, launched Pinball Clemons Foundation. Listen to The Sweet Spot on JOY, and subscribe wherever you get your podcasts. 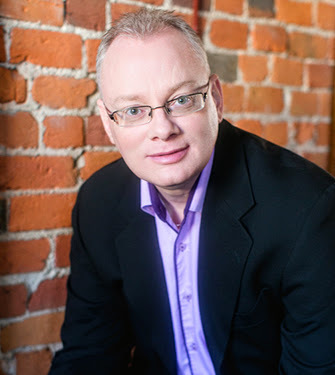 With years of pastoring, counseling, public speaking and writing to his credit, Drew (www.drewmarshall.ca) is a natural, hosting the most listened to Christian talk show in the country. Drew delves into areas that many Christians just don't talk about but should. Always balanced but unafraid to ask the tough questions, Drew's humour and wit is disarming enough to get to the heart of an interview or a story. Born in the Philippines, Paul and his family came to Canada when he was 4. Growing up in Mississauga, Paul was drawn to the music business and as a DJ achieved the kind of success he could only dream of but God had other plans and this young man turned away from secular satisfaction. He then found that his passion for soul filled dance and house music could be used for the Kingdom. 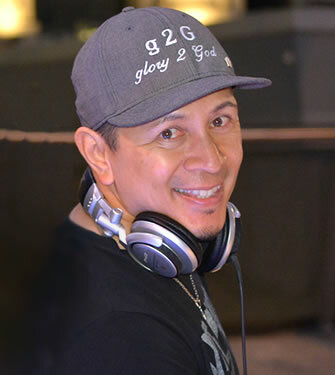 Now Paul is known as DJ g2G (glory2GOD) mixing music for a new generation drawn to the message of salvation. Listen for it Saturday nights only on JOY. Being lead to a saving knowledge of Jesus Christ (born-again) through Christian radio, Bill began sharing Christ to show people how beautiful and life-giving He is. In 2001 Bill called JOY about a book and our Program Director, Don Millar, asked Bill to come and see him. After a 5 minute interview and previous prayer by Don, 'Sunday Praise' was born. Lifting up Jesus on Sunday afternoons is a pleasure for Bill; and his prayer is that it will be an encouragement to you! 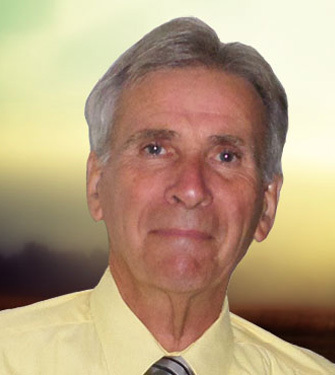 Don has over 45 years experience in radio and television and established Canada's first Christian radio station in 1995 (CJOS) while a student at Briercrest Bible College/Seminary (www.Briercrest.ca) in Caronport, SK. With a career of broadcasting to many wonderful communities across Canada, Don loves the challenges of programming a radio station as a ministry to over 6 million across the GTA! Don is a respected and valued broadcaster in our great country, proclaiming the truth of God's word and His redeeming grace. Although he's no longer on-air each day, Don continues to lead our team as our Director of Operations and Progrram Director, but will still contribute to our programming through interviews and other specials.